After last year's successful Black Friday event saw an estimated £1.23bn splurged on everything from TVs to bedding, mattresses and smart home tech, this year promises to be bigger and better than ever. As always, companies are holding back on their Black Friday deals until closer to the date, but if you'd like to know how to get the best Black Friday deals in 2018, our predictions will go a long way to giving you a clue about where to spend and where to save. Falling almost immediately after Thanksgiving and just a month before Christmas, Black Friday and Cyber Monday have gained well-deserved traction in the UK as they offer bargain-hunters big savings on everything from beds to fridges and freezers. The huge annual shopping event marks the start of the festive shopping season, and ensures bargain hunters can score some deals in time for Christmas. Although called Black Friday, the sales will, however, last for around a week or so, with some retailers such as Amazon offering price cuts before then. Black Friday always takes place the Friday after Thanksgiving, but in this case, it's the day after, so Black Friday falls on 23rd November this year. You can get some pretty good Black Friday washing machine deals from brands such as John Lewis, who last year cut prices by up to £170, and Currys offered up to £250 off selected models. Appliances Direct saved customers up to £115 on washing machines, and in 2016, Tesco joined in on the action to offer 20 per cent off on Haier washing machines. Looking for great Black Friday fridge and freezer deals? Last year, Currys PC World offered top-class deals on their fridges and freezers, including a huge £400 off the LG GSL961PZBV American-style fridge freezer, down to £899 from £1,299.99. Argos offered a huge £200 off the slick-looking Fridgemaster fridge-freezer and AO took £400 off the Miele blackboard edition. Shoppers headed to John Lewis for their Samsung fix, as they cut the price of the Samsung fridge-freezer by £400. On the hunt for a Black Friday TV deal? Currys reported that their sales of large TVs increased by 44 per cent last year, compared with 2016, and they offered 36 per cent off the Sony Bravia Smart Ultra HD TV, taking the price down from £1,099 to a staggering £699. Amazon had some cracking TV deals, including the Sony Bravia KD43XE8004 43-inch TV, reduced from £999 to £599. Argos also jumped in on the action, selling a Samsung 49-inch curved 4K TV for £549 as opposed to £629. Searching for a discount off a Black Friday smart home buy? Last year saw Amazon slash the price of their own products – think Echo, Echo Dot, Kindle – and help customers save a hefty £90 when purchasing a Hive thermostat. Meanwhile, John Lewis knocked £50 off the Google Home smart speaker. Argoslowered prices on several of their smart home items, including the Amazon Echo Plus by £30, and the Dot which went down to an all-time bargain price of £34.99. Hunting down a Black Friday mattress deal? In 2015, Marks & Spencer slashed their mattress prices by a huge 50 per cent during Black Friday madness; last year saw big online mattress brands such as Simba, Casper and Eve get in on the action, too, with some of them offering 30 per cent off over the Black Friday weekend. Wayfair offered a huge £350 saving on a number of Silentnight mattresses, and Eveslashed up to £300 off their high-tech mattresses. But Amazon ruled the roost by selling Casper, Serta and Beautyrest mattresses for a whooping 40 per cent off. Want a Black Friday bed deal? Last year saw homeware haven Habitat slash their prices by 50 per cent during the event, and John Lewis offered big discounts off, selling their Sacha sofa bed with a whopping £450 off. In 2016, Very offered a 50 per cent discount on several of their beds and sofas and Cuckooland also gave 35 per cent off Black Friday buys. Looking for good Black Friday bedding deals? Three years ago, Marks & Spencer cut its prices by 50 per cent on items such as bedding and towels. In 2016, Habitat reduced the price of blankets across hundreds of lines, and last year they had a fabulous Black Friday sale across the majority of their items. Debenhams also offered large savings on homeware, with 30 per cent off bedding. Waiting in the wings for fab Black Friday sofa deals? Last year saw Marks & Spencer knock a whopping 60 per cent off products across all its departments and Habitat treated customers to up to 50 per cent off, while Debenhams offered savings of 60 per cent off furniture. Very slashed their prices by 20 per cent on their furniture, and Black Friday 2016 saw them give customers a whopping 50 per cent off. Hanging on in there for Black Friday sofa bed deals? 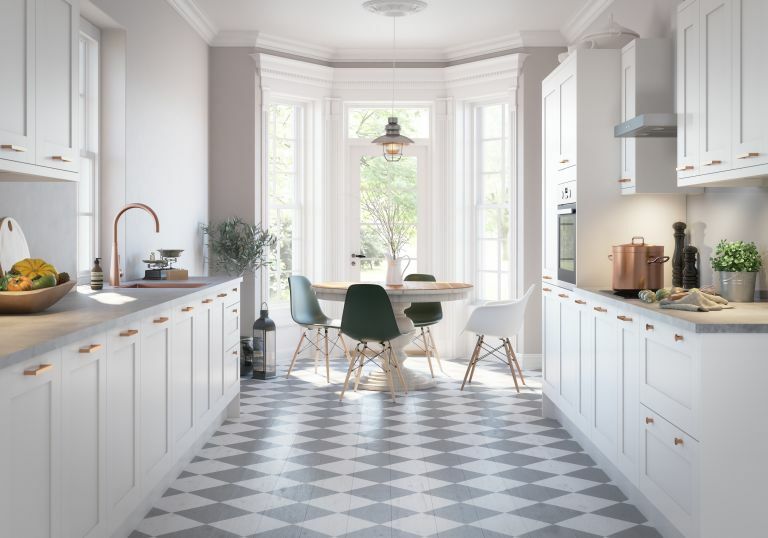 Marks & Spencer knocked a whopping 60 per cent off their products across all departments last year, and homeware haven Habitat treated customers to up to 50 per cent off, while Debenhams offered furniture savings of 60 per cent off. John Lewishad the deal of the century on their Sacha sofa bed, dropping the price by over £400, and Very slashed their prices by 20 per cent on their furniture. Black Friday 2016 also saw Very give customers a whopping 50 per cent off. What retailers will be offering the best Black Friday deals? John Lewis & Partners, with their 'Never Knowingly Undersold' mantra will be price matching it's rivals on everything from smart home and tech to fashion and furniture so keep an eye out for updates on our John Lewis & Partners Black Friday page. Amazon, will of course more than likely be offering huge discounts off gaming and tech, including all of their own branded items like the Echo Speakers and Fire tablet. You can stay up to date on the deals as they are being released on our Amazon Black Friday page. Made.com , everyones favourite high-end, affordable furniture store is set to have some major discounts going on during Black Friday. Previous years have seen Made cut prices on the majority of products from beds and sofas to lighting and home accessories. Make sure you bag a bargain by getting the latest from our Made.com Black Friday page. B&Q, is also going to be a great place for all you DIYers to save some money. From power tools and garden accessories to washing machines and kitchen appliances, head to our B&Q Black Friday page to stay up to date on any discounts. AO.com, went big last Black Friday, slashing deals on everything including games consoles, TVs, fridge freezers and washing machines, so we are expecting big things this year. For the full lowdown check out our guide to AO.com Black Friday deals.